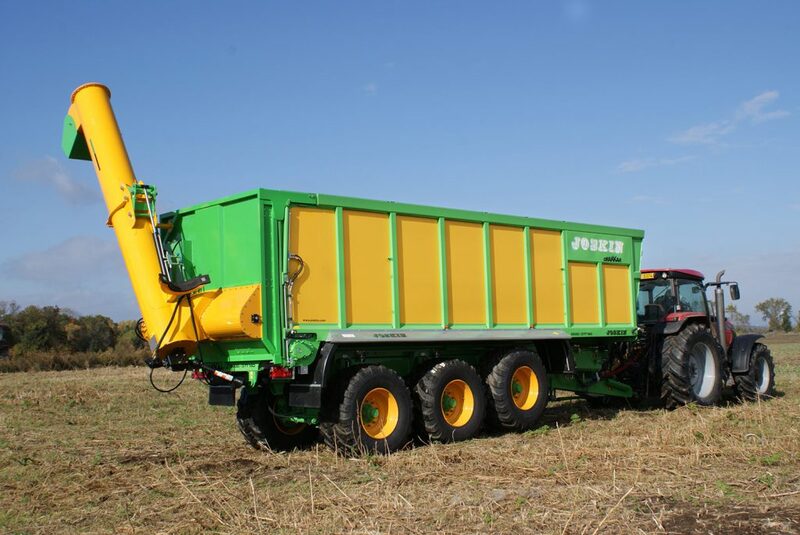 The Joskin Drakkar multi-purpose trailers can now be fitted with an unloading auger to unload grains into a road transport trailer at the edge of fields, to fill a seeder or to unload industrial fertilizers, to mention just a few examples. Joskin says the equipment allows an increase productivity and profitability in the fields because it takes less time to unload material. The system includes two parts. The matter is brought by the moving floor to a first horizontal auger, which is placed on the whole width of the door and is driven by a hydraulic pump (50l/min). 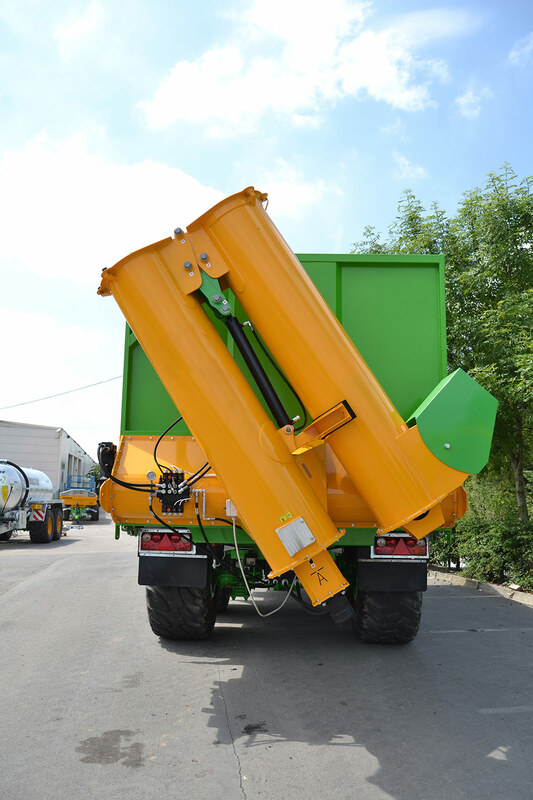 This horizontal auger increases the capacity of the main transfer auger, which then brings the matter out of the trailer. It is driven by a hydraulic pump (150 l/min) but it is still possible to have the mechanical solution. The connection between the two parts is fully tight and the transported matters are not damaged. The transfer auger, which is mounted on the rear door of the Drakkar, has a diameter of 500mm and a length of 4m60. There characteristics make it possible to unload 450 tons an hour. A control box is also delivered in order to control the system from the tractor cabin. Since it can be hydraulically folded, this compact auger can be transported safely. A second door is also delivered in order to use the DRAKKAR multi-purpose trailer without the auger. Joskin claim that thanks to this transfer solution, the multifunctionality of the Drakkar is increased and farmers can make the machine more cost-effective.